On January 25th 2014 Phoenix, AZ, the Albuquerque Kings entered the 15th Banner wheelchair Suns basketball round up ready to face an unfamiliar Denver rollin Nuggets team. 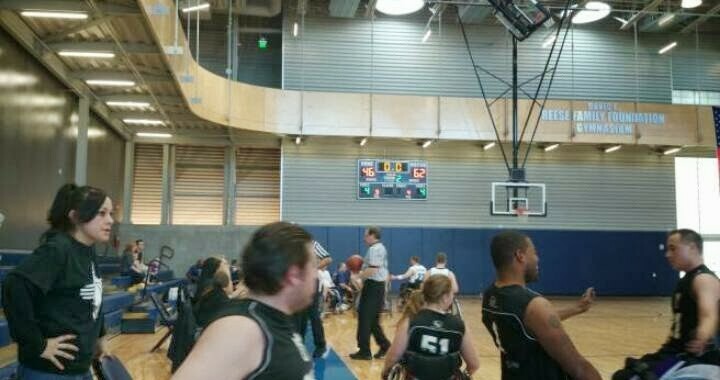 The Kings got off to a fast start controlling most of the game and came away with a win 61-43. Up next The Kings faced a savvy Los Angles Clippers team. The Kings started off slow but were able to pull away in the first half and come away with a the victory. 55-35. For the third and final game of the day the kings faced a familiar foe, the Phoenix Suns. The Kings were unable to contain the Suns and their hot shooting. Despite a furious 2nd half comeback The Kings fell to the Suns 51-58. On day 2 The Kings would look to bounce back against a veteran Utah Jazz team. The game went back and forth most of the first half. The Kings tightened up their defense overwhelming The Jazz 62-46. In the final game of the tournament The Kings faced The Las Vegas silver bandits a team they had beaten two weeks earlier in Tucson. The Silver Bandits came to play jumping out to a 10-1 lead. the kings were able to cut into the lead trailing by only 5 points at the half. Unfortunately The Kings were unable to carry momentum into the second half and ended the weekend with a loss.